Do you STRUGGLE with marketing...working hard but not getting the revenue and rewards you expected from your business? Are you FED UP with wasting time and money on stuff that doesn't work? 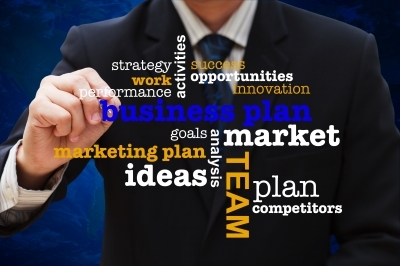 Are you READY to invest one day developing a marketing plan--the one business tool that decades of research tells us will IMPROVE your business revenues? => On Saturday, January 5 at 9:30 a.m., this can be your reality! New: Create Your Fast Start Marketing Blueprint in ONE DAY! Imagine finally feeling comfortable, confident, and clear about your marketing. Imagine having a literal blueprint for attracting clients that guides you through the entire year of marketing, so that you know what to do on a daily basis to build your business, and earn more revenue. Imagine knowing exactly where and when to invest your precious resources of time, energy and money. If you want 2013 to be better, make that much MUCH BETTER than 2012, you will enroll in this program! Your Target Market: Exactly who is ready, willing and able to buy from you. Your Core Message: What you have to say to capture their attention, and get them into action. Your Media: Where you have to be to connect with them, and how you can be all the right places at once without a time machine or a clone. Your Fast Start Marketing Strategies: Exactly how you'll attract, acquire, and retain the right clients all year long. By 4:30 p.m. on Saturday, you may be tired, but you will also be energized and excited about your plans for the coming year, because you will have in your hands your own powerful marketing plan. If you can find another marketing program led by a marketing professional with more clients and a better track record...TAKE IT! But if you want immediate access to proven strategies and techniques, guidance from an internationally recognized marketing expert with literally millions of dollars in revenue to her credit, and your own marketing plan DONE by the end of day Saturday, January 5, this is your chance to get a piece of the magic to apply to you and your business.